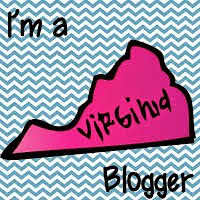 Virginia is for Lovers Bloggers! A lovely group of Virginia bloggers would like to help usher in the new school year by extending a bit of southern hospitality. You can follow along the blog hop to visit 20+ Virginia teacher blogs for terrific teaching tips and fun freebies to help get your new school year off to a great start. I hate reading other people's product advertisements so I won't make you suffer through mine. If you'd like to check out some of my paid products (and many more freebies) you can visit my TPT store HERE. I created this EXCLUSIVE FREEBIE for you just for visiting today. In my game, Apples and Bananas, students will discuss the different historical figures they have previously studied and compare them to modern day community helpers. Students can use this Sentence Frame to help structure their responses. "Jackie Robinson (Apple) is similar to a Firefighter (Banana) because he had to be brave to be the first African American baseball player in the major leagues." Another great thing about this game is that it features this realistic clipart from another Virginia Blogger, The Meek Moose! Thanks for stopping by! I hope you will consider following me on Bloglovin', and let me know if you're new so that I can follow you too! Super cute game! I know my kiddos will love it... and thanks for sharing about the Meek Moose's clipart too!! This is really cute! Thanks a bunch for sharing it! Ahhh yay! This is great for an end of year review!!! I love the clipart too :) Thank you so, so much! I can't find a link to download it?? When I click on the picture it just shows me a larger size of the picture??? The first picture of the freebie document is the link to the download. I checked it and it is working on my end. If you still can't get it to work leave me your email and I'll send it to you instead. These are so cute. I am loving the little clip art people! Thank you so much. What a great review game! This is cute! It looks like a fun game that will get students thinking! Thanks for sharing! Super cute! 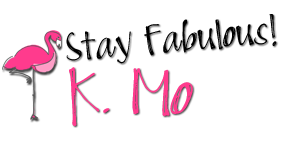 I'm your newest follower, and a fellow VA blogger-- I blog from Franklin County :) Great Blog! What a cute idea! My students will love this! Thanks so much for sharing! I love Apples to Apples and this is so awesome! Thank you for sharing. I'm a new follower! It's not very often I find a SS game! This is amazing and really encourages higher-level thinking! Thank you for sharing. I LOVE Apples to Apples, and it think the idea of doing comparisons is awesome! This is so different, and I can't wait to use it! I found you through this VA Blog Hop and glad that I did! I'm your newest follower too! Thanks for this fun game! Hi, is your game still available? It says it was deleted or moved. I'm looking for something fun for my upcoming social studies unit and this looks perfect! I moved the product to my TPT store (still free). Click the pictures above and now the link should take you to the product listing. Enjoy!